...if you want a rush job on your renovation project. If you want someone who pays no attention to detail. If you want little or no preplanning done on your project. ...if you prefer someone who carefully plans and prices your home renovation project...who treats your home as if it was his own all during the work...who takes the time to pay attention to all of the small details that make the difference between a decent job and true craftsmanship. "I recognize that behind every project, there is a family being affected," says Steve Drake, owner and craftsman at the helm of Drake Renovations, Inc. "I intentionally keep my business small in order to maintain the personal touch, and I only hire sub-contractors who I would have working in my own home." Drake focuses on one project at a time—YOURS! Imagine a new look for your cabinets at a fraction of the cost of full replacement. Cabinet refacing is now available! “Steve’s work is recognizable by the professional job he does and attention he pays to details. Throughout our kitchen remodel project, he was very flexible and able to work with creative ideas that came up along the way. Even with the inevitable changes, he remained patient, easy to work with and remarkably on schedule! I still smile whenever I see my kitchen. Thank you, Steve!” ~Louann S.
“Your work and your whole process are meticulous. I appreciated that you wouldn't paint without a thorough assessment of the wall and ceiling surfaces, and not until all flaws were fixed. The advice you gave on our hardwood flooring resulted in the most professional and gorgeous result, and the care you took in completing the job are second to none.” ~Rebecca A. "We could not be more pleased with the work performed in our home by Drake Renovations. Both our basement finish and kitchen remodel were performed in the time frame promised to us and well within our budget. 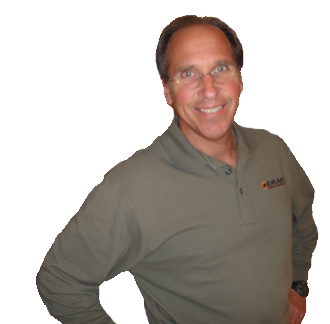 Steve Drake is to be commended for the high degree of professionalism and integrity that he brings to each project - both as a skilled craftsman and general contractor - and we highly recommend Drake Renovations for your home improvement needs." ~Mike and Cathie C.